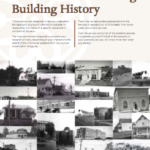 There are lots of reasons why you may be interested in finding out more about the history of your house or other buildings where you live, work, or frequent. Perhaps you are interested in the people who lived there before you or owned a business at that location. 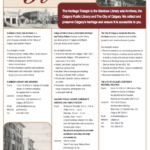 Or maybe you would like to learn more about the history of an older public buildings. This type of research is easy to do, and is an important first step in documenting a property for restoration or designation. We’ve collected the most common questions we get asked here along with some links to help you get started. Where can I find pictures and other info? How can I find the date of a house? Check the top right corner of the property tax assessment. This is the approximate date the City has determined for your home. What about the people or businesses at that address? Limited searching of the Calgary Herald Archives in Google News. 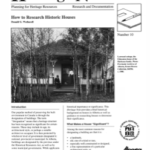 Visit the City’s extensive resource page, How to research building history , check out these downloadable publications below, and watch our events page for upcoming “How to Research” workshops.